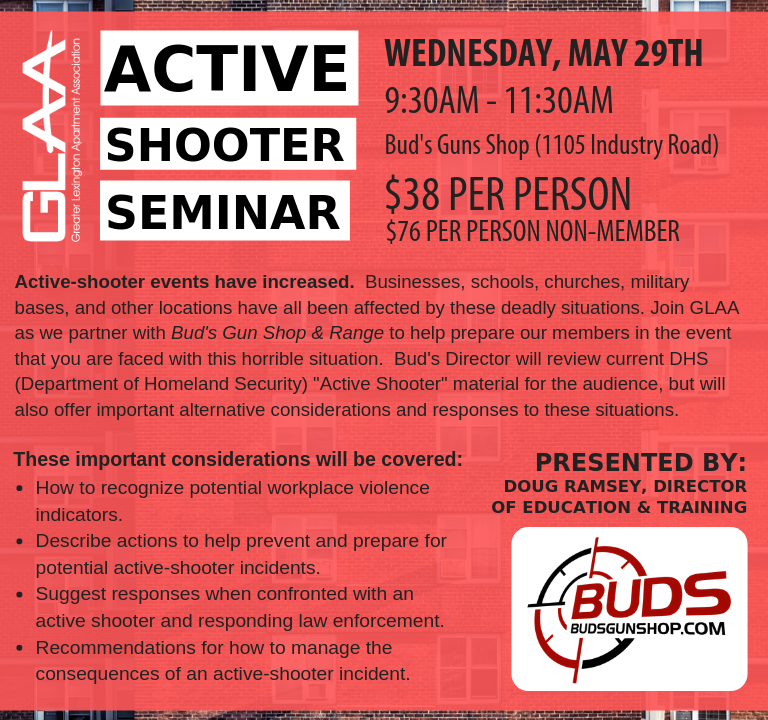 Active Shooter events have increased! Make sure your team is well prepared. Sign me up! | Deadline to register is Friday, May 24th. *If paying online, simply go Pay for Events (under the Calendar tab) and locate CFC Certification Exam.